Bath Makeover of Arkansas has provided this Policy so that you will know what personal information Bath Makeover of Arkansas collects through this Site, how Bath Makeover of Arkansas uses this information, the types of third parties with whom Bath Makeover of Arkansas may share this information, and some of the choices that are available to you. This Policy may be supplemented or amended from time to time by additional privacy notices (“Privacy Notices”), provided at the time we collect your personal information. For example, certain pages of this website may contain privacy notices providing more details about the personal information we collect on those particular pages, why we need that information, and choices you may have about the ways we use that information. In other cases, specific Privacy Notices may be required to comply with the privacy laws of one of the countries, provinces, or states in which we do business. By using this Site, you are consenting to the collection, use, disclosure, and transfer of your personal information as described in this Policy (and any Privacy Notices that apply to you). If you do not consent to the collection, use, disclosure and transfer of your personal information as described in this Policy (and any Privacy Notices that apply to you), you may not use this Site. You may call 309-693-8827 to request literature, find a local store or request an appointment. If you have questions about this Policy, or any Privacy Notice, please contact us via e-mail at info@bathmakeoverar.com. Bath Makeover of Arkansas reserves the right to update or modify this Policy and any Privacy Notice, at any time and without prior notice, by posting the revised version of the Policy or Privacy Notice on this Site. These changes will only apply to the personal information we collect after we have posted the revised Policy or Privacy Notice on this Site. Your use of this Site following any such change constitutes your agreement that all information collected from or about you after the revised Policy is posted will be subject to the terms of the revised Policy. You may access the current version of this Policy at any time by clicking on the link marked “Privacy” at the bottom of each page of the public areas of this Site. This Policy was last revised on October 24, 2014 and is effective as of that date. When you access and use this Site, there are three ways we may collect information about you: Information You Knowingly and Voluntarily Provide Bath Makeover of Arkansas collects the personal information you knowingly and voluntarily provide when you use this Site, for example, the information you provide when you request an appointment, request literature or services, or e-mail us with questions or feedback. Bath Makeover of Arkansas uses the personal information you volunteer through this Site to provide the information and services you request and for any other purpose we identify to you in a specific Privacy Notice. For example, we use the information you provide when you request an appointment to make arrangements for a local Bath Makeover of Arkansas expert to contact you to discuss your project. The information you provide about yourself (for example, whether you are a homeowner or a builder) and your project helps us determine how to direct your inquiry. As another example, we use the information you provide when you request literature to send you information about the products that interest you. When we collect your contact information, we may ask you if you would like to receive news and special offers from us. If you indicate that you would like to receive our mailings, we will add your contact information to our mailing lists and, from time to time, we will send you newsletters or updates, special offers, or other information about programs, services and products we believe would be of interest to you. In addition, if we provide promotional information or materials to you by email, we will include a link to our “opt-out” page in every email. Finally, we may remove the information that identifies specific individuals and study the balance of the information we collect through this Site to improve our programs and services, to improve the content, functionality, navigation and usability of this Site, to better understand the needs and interests of our customers and potential customers, and to better market our programs, services and products. Information Sent to Us by Your Web Browser Bath Makeover of Arkansas collects information that is sent to us automatically by your web browser. This information typically includes the IP address of your Internet service provider, the name of your operating system (such as Windows or Macintosh), the name and version of your browser (such as Netscape or Internet Explorer), the date and time of your visit, and the pages you visit. The information we receive depends on the settings on your web browser. Please check your browser if you want to learn what information your browser sends or how to change your settings. The information provided by your browser does not identify you personally, and we do not normally link this information to any other information that would permit us to identify you. Generally, we use this information to create statistics that help us improve our sites and make them more compatible with the technology used by our visitors. However, we may review our server logs for security purposes, for example, to detect intrusions into our network. The possibility therefore exists that, in the event of criminal malfeasance, we might share our server logs, which contain visitors IP addresses, with the appropriate investigative authorities who could use that information to trace and identify individuals. Information Collected By Placing a “Cookie” On Your Computer Bath Makeover of Arkansas uses “cookies” to “tag” your computer when you visit our Site. A cookie is a small text file our Web server offers your browser. Our cookies contain a randomly generated, unique identification number that lets us identify your computer each time your visit our Site. We use these cookies to collect statistical information about the ways visitors use our site which pages they visit, which links they use, and how long they stay on each page. We analyze this information (known as “clickstream data”) in statistical form to better understand our visitors interests and needs and to improve the content and functionality of our sites. Our web server recognizes the cookies on your hard drive each time you visit our Site. Because we recognize your computer, we do not count it twice. Also, we can use the number assigned to your computer to link the clickstream data we collect each time you visit our Site. This technology helps us determine how many visitors are using our site, how often they return, and how their use of our site may vary over time. These cookies do not identify you personally and we do not link “clickstream data” with any information that identifies you personally. If you give us your zipcode when you visit our Site, we will place a cookie on your computers hard drive that contains your zipcode information. This cookie does not contain any information that identifies you personally. As you browse our Site, our web server will recognize your zipcode and show you products and services available in your area. This cookie expires automatically after 30 days. If you do not wish to receive cookies, you may set your browser to reject cookies or to alert you when a cookie is placed on your computer. You may also delete our cookies as soon as you leave our Site. Although you are not required to accept our cookies when you visit this Site, you may be unable to use all of the functionality of the Site if your browser rejects our cookies. Does Bath Makeover of Arkansas Share My Personal Data? How Does Bath Makeover of Arkansas Protect Personal Information? Bath Makeover of Arkansas takes reasonable precautions to provide a level of security appropriate to the sensitivity of the personal information we collect. Although we use reasonable measures to help protect your personal information against unauthorized use or disclosure, we cannot guarantee the security of information provided over the Internet or stored in our databases and will not be responsible for breaches of security beyond our reasonable control. If you would like to review, correct and update the personal information you have provided to us through this Site, please contact us by email at info@bathmakeoverar.com. We will respond to your request within the time limit set out by the applicable privacy legislation. We will use reasonable efforts to comply with your request as required by applicable law. 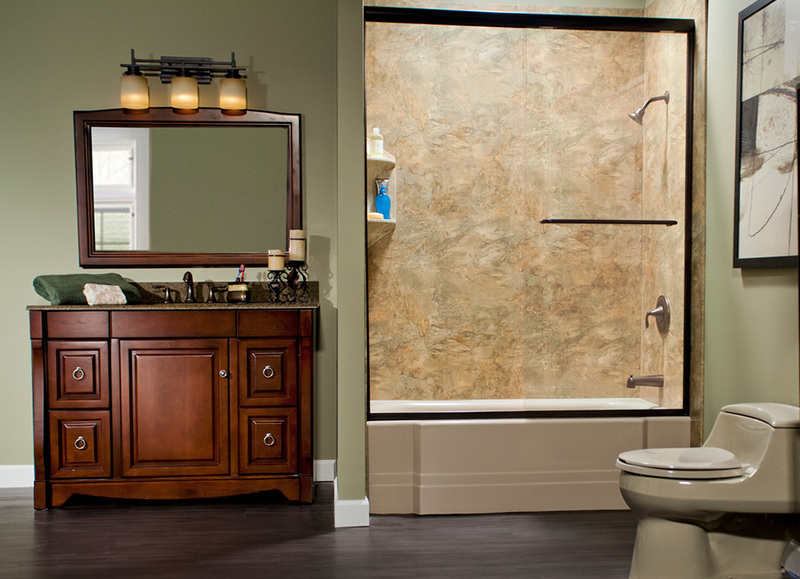 Bath Makeover of Arkansas retains the personal information collected on this Site as long as necessary to provide the services, products and information you request or as permitted by applicable law. Bath Makeover of Arkansas is a United States corporation. The servers that support this Site are located in the United States. While it is in our possession, your personal information will generally be stored in Bath Makeover of Arkansas databases or databases maintained by our third-party service providers on servers and data storage devices located in the United States. United States data protection laws may not provide as much protection as the data protection laws in force in some other countries; however, we will process your personal information in accordance with this Policy no matter where our data is stored. If you are located in a country outside the United States, by using this Site you consent to the transfer of your personal information to the United States. This Policy shall be governed under the laws of the State of Arkansas, United States of America without regard to its conflicts of law provisions.